Rajasthan – the land of kings; have the apt name to the diverse culture, color and heritage beauty. December marks the peak season for tourism activities. With monsoon completely out of the picture and a month gap to avoid surprise monsoon, December comes with an advent beauty. The only disadvantage of December is that, this advent of beauty is desired to numerous people and thus, the demand of every service, amenity and tickets would be very high. This includes every experience starting from camel safari to luxury train tickets. If you are planning to cover Rajasthan with luxury train during December, try to book it before October, to be sure. Well, back to the point. here are the five iconic tourist spots of Rajasthan, which would be at prime beauty in December. Starting from camel safari to sightseeing, all the desert activities will be at prime beauty during the winter season. You can enjoy the luxury of the land with old museums, havelies, the grand Jaisalmer Fort and much more. Walk through the city and enjoy the local life starting from architectural sighting to tasting bhang. You ought to visit this Golden City of Rajasthan during winter to enjoy the camel beauty. No matter what, the imperial city of Jaisalmer will keep you busy during December. Remember that this is the iconic destination for December travelers and thus, pre-book all your amenities as soon as possible. Explore the Jaisalmer Fort and the beauty around it. Walk through the streets, pay a little money to the street musicians to play, taste local cuisine and most importantly, relish the architectural beauty of the land. While you are in the desert, try to camp for a night. You can find many service providers who arrange cultural programs like fire dance, belly dance, barbeque dinner and much more. If you are not into any of those, at least try to have a romantic moonlit dinner on the cool sands of the desert. Since the sand dunes will be filled with tourists, you can always find adventure and tourist activities here like dune-dashing, paragliding, quad driving and so on. Direct flights are available from Delhi to Jodhpur. Jodhpur is around 300 km away from Jaisalmer and you can hire cabs or buses to reach Jaisalmer from Jodhpur. However, the most commonly sought option is train from Delhi to Jaisalmer. You can even find many luxury trains from Delhi, which leads you to Jaisalmer and many other Rajasthan destinations. Are you looking for luxury train vacation in India? Visit Luxury Train India for choosing the itinerary of your choice. This is the capital of Rajasthan and the city with numerous forts and palaces. This city is the Pink City of Rajasthan, thanks to the unique pinkish monuments of yesteryear. No, Jaipur is not just about walking through monuments, forts and observatories. It is a little more than that. Jaipur becomes the festival city of Rajasthan with the Magnetic Fields Festival. This festival takes place for three days and you can find numerous activities, tourist attractions, cultural programs and much more. Beyond these, the natural beauty of Jaipur is highlighted with lush waterbodies, rich wildflowers at bloom and much more. Take part in the Magnetic Fields Festival of Alsisar Mahal to enjoy musical performances, dances, yoga workshops and parties. Apart from this, you can find exclusive celebrations during festivals like New Year’s Eve, Christmas and so on. Explore all the architectural beauties during the day. The city will be mildly warm during December and thus, you can easily explore the region. Since it is the peak tourism season, the local markets of Jaipur will be filled with vendors selling unique souvenirs and general items. Jaipur is the right place to buy camel hair articles, silverwares, handlooms, leather articles, accessories and others. Jaipur has an international airport within its city limits. However, not all top foreign destinations are connected with Jaipur. Thus, tourists usually prefer entering the country through the international airport of Delhi. From Delhi, you can find connecting flights to Jaipur or, you can stick with alternative transportations like buses, cabs, trains and others. This destination is an offbeat beauty. 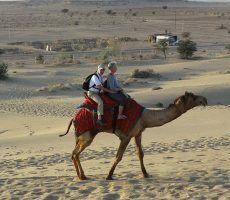 You might not find many tourism activities to enjoy in this region, when compared to tourism giants like Jaisalmer, Udaipur and others. However, when it comes to December, this Mewar region is the top destination to cover. Why so? You get to be a part of the grand Kumbhalgarh festival, where you can enjoy endless cultural performances, local games, competitions and much more. To knock everything out, every evening will be dedicated for a spectacular light and sound show. This festival takes place for three days in December. Kumbhalgarh festival is the iconic cultural festival. Apart from this, you can find numerous religious and cultural celebrations during this month. Take a drive through the yellow mountain path of Haldighati in a jeep or motorbike to experience an adventure trip. Due to the festival, you can find many other cultural performances from time to time, at traditional destinations of Rajsamand. How to reach Rajsamand from Delhi? Rajsamand is almost 600 km away from Delhi. The nearest airport to Rajsamand is located in Udaipur. 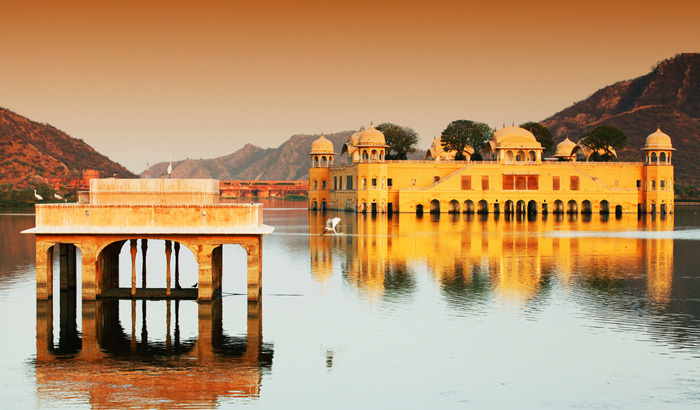 You can find flights from Delhi to Udaipur, very frequently. From Udaipur, you can find various transportations to reach Rajsamand. If you are choosing train, it is better to reach Mavli from New Delhi and catch a cab from Mavli to Rajsamand. Of course, every lake in this City of Lakes will be filled with water and the beauty of the land would be at its prime beauty. May it be the sight from the balcony of the Monsoon Palace or a sunset boat trip on Lake Pichola; this is the right place to be closer to the beauty of nature. If you are looking for a romantic escape, Udaipur in December will do the magic. 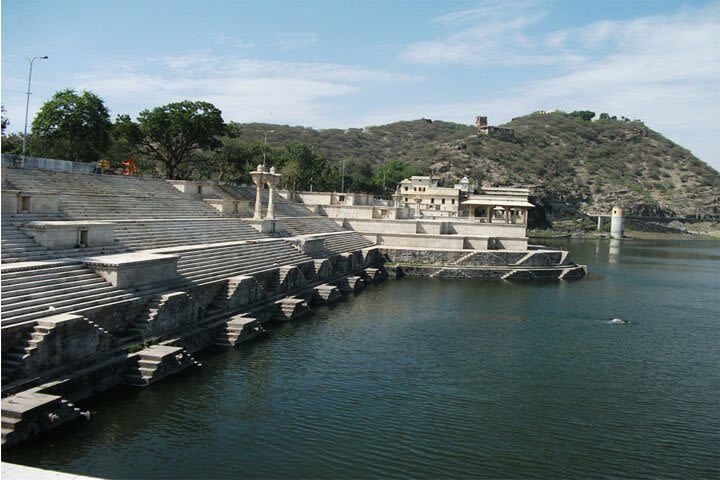 Moreover, the heritage sites of Udaipur will look fresh, thanks to the recent rain. The city of white buildings will be at prime beauty during this month. Not just December, no matter when you visit Udaipur, you ought to spend exclusive time for the cultural activities like dance, music, performance arts and much more. Visit the palaces, forts, havelis, museums and other structures of the land with ease, thanks to the climate of December. While doing so, do not miss the vintage car museum. As mentioned before, the water-based activities will be at prime beauty. Enjoy a traditional boat ride on Lake Pichola during sunset. Take a cycling trip along the countryside during a lazy afternoon. How to reach Udaipur from Delhi international airport? 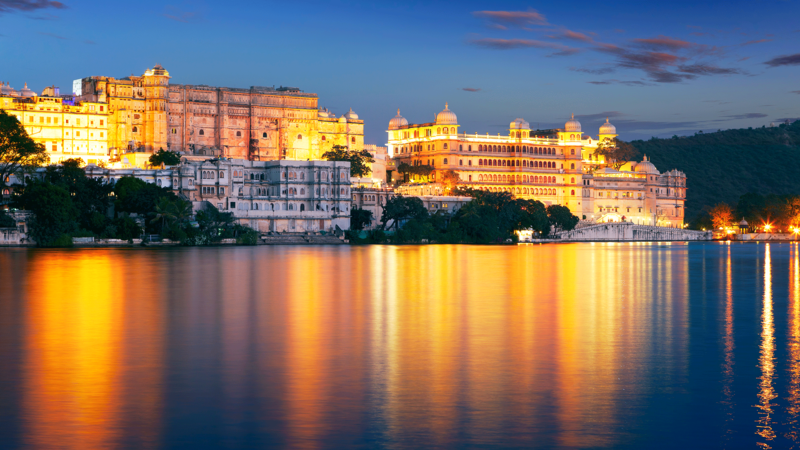 You can find daily flights from Delhi to Udaipur. Udaipur airport is just 20 km away from the main city. Udaipur is just 11 hours’ drive from Delhi. However, it is recommended to choose rail or air transportation than losing half a day of your vacation with traveling. If you still want to try road transportations, you can hire buses and cabs from Delhi to Udaipur, directly. The destination is quite famous for being the only hill station in the desert state of Rajasthan. In addition, true to its landform, it has most of the cliche hill station attractions. In summer, it is the destination to escape the hot summer days and in winter, it is the cultural destination. 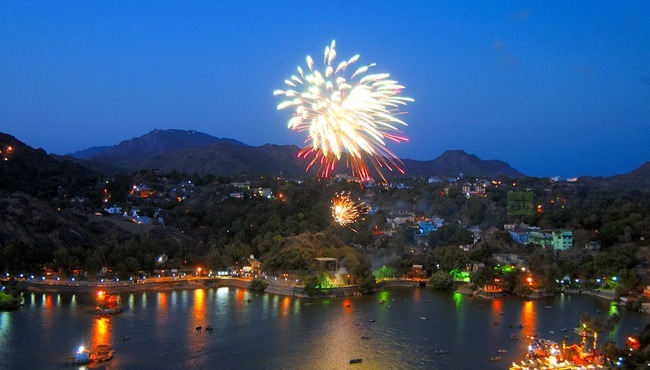 The Winter Festival of Mount Abu is celebrated around the time of New Year’s Eve and this annual festival is celebrated with folk dance, music, poetry, adventure activities and so on. Apart from these, imagine a hill station in the dawn of winter season. The land will be chill, vegetation will be lush and the beauty will be limitless. This is the right time to enjoy hot air ballooning, trekking, rock climbing, camping and other adventure activities. The wildlife regions of Mount Abu will be well populated with beautiful animals and wildflowers to enjoy. Hike to pilgrimage sites on top of small hillock for adventure and pilgrimage activities. If you are up for a moderate adventure, hike up to Nakki Lake. How to reach Mount Abu from Delhi? There is no direct flights or trains from Delhi to Mount Abu. The easiest route is to fly from Delhi to Udaipur and from Udaipur, you can find road transportation like buses or cabs to Mount Abu. If you are sticking with train, you can reach Abu Road from Delhi via Rajdhani Express and then hire local buses or cabs to reach Mount Abu. Unless you are hiring a private cab, you cannot find direct road transportation from Delhi to Mount Abu. For bus route, the nearest bus terminal from Delhi is Ahmedabad. From Ahmedabad, you can find state buses to Mount Abu. Some fly from Delhi to Ahmedabad and then hire road transportation from there. December is the most chilling time to enjoy the real experience of Rajasthan flavor. If you are looking for an exclusive vacation, Rajasthan is the right spot. After all, it is the state to have won three national awards for tourism (Source:).